Let you exciting to visit with us the same places that won the Oscar thanks to Paolo Sorrentino’s movie. We always look for the best quality and excellence.Travelling with our cooperative Bestwayrome will be a relaxing experience. You will find maximum comfort and safety. Wi-Fi on board of our vehicles on demand. 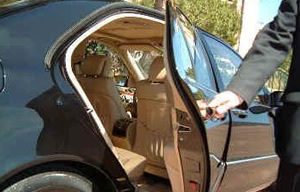 BPS Limo Service - Bestwayrome is pleased to satisfy all companies requests and clients too. We can offer to our companies good fares and custom services. Contact us and choose for you and your company. Choose to visit with us the best cities of Italy as Florence with it’s beautiful monuments in Tuscany, Siena, Pisa, Lucca. Naples with it’s Pompei,Paestum,Sicily with Taormina,Siracusa,Temples Valley,Trapani,Palermo. Choose the tour you like the most and Bestwayrome will make it possible. Bestwayrome offers to our clients wide range of services with vehicles, minivan and minibus. All for competitive fares about people carrying. We are always looking for maximum quality and professionality to ensure a unique service. Travelling with our cooperative Bestwayrome will be a relaxing experience. You will find maximum comfort and safety. Wi-Fi on board on demand. Our company offers a different service from the public one because we always use superior vehicles and professional staff for all our Italian and foreign clients.